Last week the House of Representatives debated and ultimately passed Senate Bill 234, the annual budget bill, also known as the Long Bill. 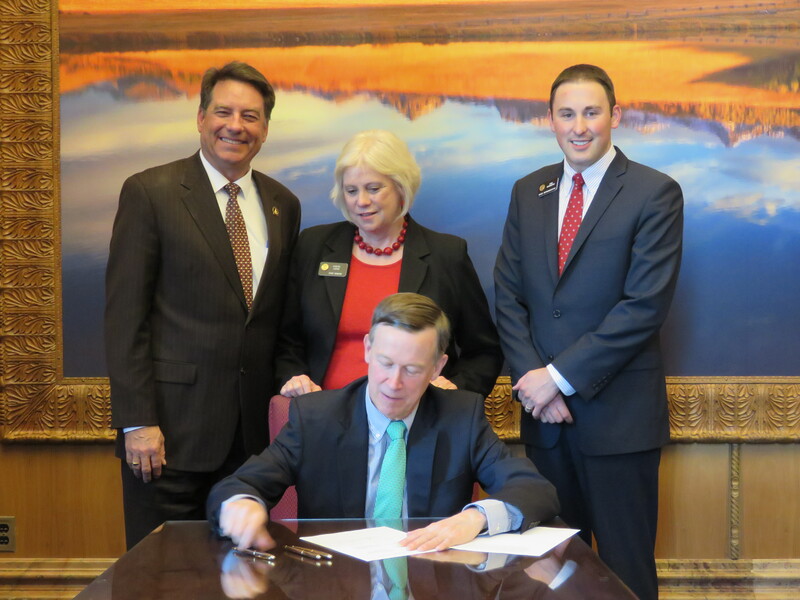 As one of six members on the Joint Budget Committee (JBC), I wanted to use this newsletter to tell you about the Long Bill process and Colorado's fiscal year 2015-16 budget. The budget process begins in November, well before the legislative session starts in and involves a great deal of research and preparation. During the interim, all of the state departments present their budget request to the JBC and provide substantive evidence to support their funding needs. Our JBC staff spends countless hours analyzing these departments' operations and budgets, and then provides specific recommendations based on their findings. As we approach the session, the governor and our fellow legislators make requests to prioritize our available resources for state programs and functions. In December, which is the mid-point of a fiscal year, we re-evaluate the departments' budgets and assess any supplemental needs. Budget supplementals bills are considered during the first half of the legislative session to address legitimate shortfalls. Then following the March budget forecast, one of four forecasts that are produced quarterly, the legislature balances the budget and submits the Long Bill for the upcoming fiscal year, which begins on July 1st. In addition to increasing funds to transportation and education, we will be refunding $70 million dollars back to Colorado taxpayers. TABOR, the Taxpayer Bill of Rights, establishes a revenue threshold that triggers a refund back to taxpayers if tax revenue exceeds a set limit. In other words, TABOR requires the $70 million in overpayments, or excess taxes, be refunded back to the individual taxpayer. Taxpayers can expect to see these refunds applied to their 2015 tax returns. The JBC members and staff worked very hard this year and put together a balanced budget that addresses a number of issues around the state. 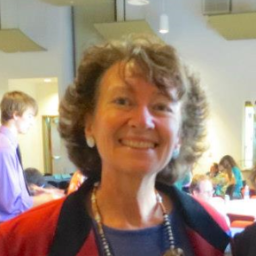 As a freshman on the JBC, I give tremendous credit to both JBC veteran Senators Kent Lambert (R- Colorado Springs) and Pat Steadman (D-Denver) who helped mentor four new members of the committee, myself, Senator Kevin Grantham (R-Canon City) and Representatives Dave Young (D-Greeley) and Millie Hamner (R-Dillon) through this process. Thank you for taking the time to read about our budget process and look at our newsletter, and I welcome any questions about the process and our fiscal year 2015-16 budget. 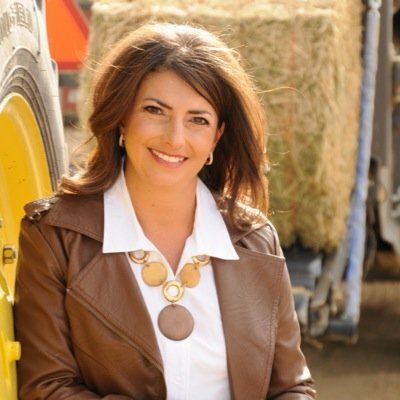 You can keep up with all of our updates by following us on Twitter, liking us on Facebook or visiting www.cohousegop.com . 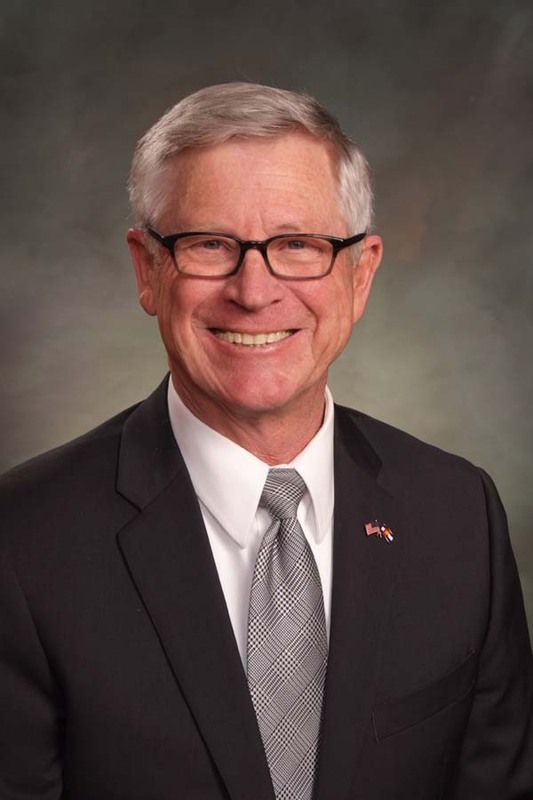 Representative Dan Nordberg (R-Colorado Spings) attends the bill signing for his bill, Senate Bill 019, which expands the state's audit authority over Connect for Health Colorado. 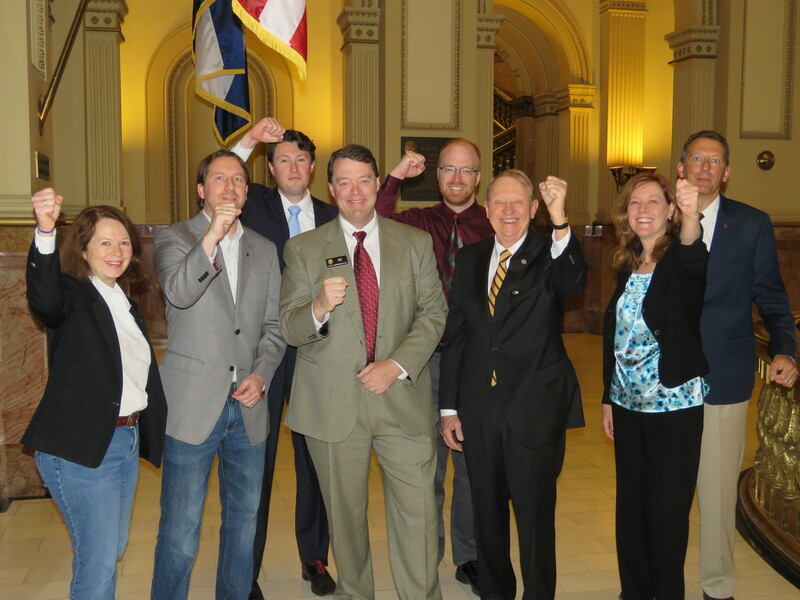 Representative Jack Tate (R-Centennial) celebrates the signing of his bill, House Bill 1197, with members of the American Institute of Architects. Representative J.Paul Brown (R-Ignacio) addresses his concerns with Senate Bill 255 to the House Committee of the Whole.